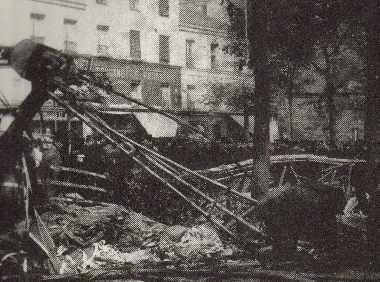 May 12, 1902, pilot error was determined to be the reason for a French airship exploding over the French Capital, Parc de Vaugirard. The airship explodes plummeting to the ground while spectators that had arrived to the capital to see this new airship watched in horror. The crew of two including the inventor Augusto Severo a Brazilian inventor were killed. The ship was powered by hydrogen. It had two propellers, one at each end of the car. As the airship climbed altitude, Servo and his co-pilot dropped its ballast rather than letting out it hydrogen gas resulting in rupture in its lining from a build up of pressure.